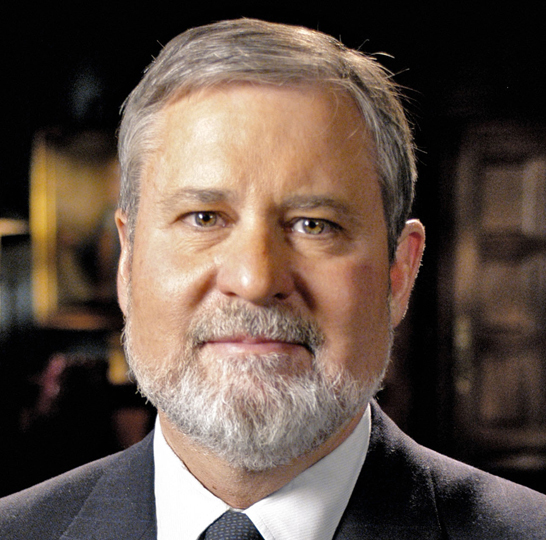 Larry P. Arnn is President of Hillsdale College, a position he has held since 2000. Under his leadership, Hillsdale perpetuates, through liberal education and sound learning, religious liberty and intelligent piety. From 1977 to 1980, Dr. Arnn studied at the London School of Economics and Oxford University. While in England, he served as Director of Research for Sir Martin Gilbert, the authorized biographer of Sir Winston Churchill. In 2012, Dr. Arnn assumed responsibility for editing the final six document volumes of the Churchill biography due to Sir Martin’s declining health. Dr. Arnn returned to the United States in 1980 to become an editor for Public Research, Syndicated. In 1985, he became President of the Claremont Institute for the Study of Statesmanship and Political Philosophy. Later, he was Founding Chair of the California Civil Rights Initiative, or Proposition 209, which passed on the November 1996 ballot. Dr. Arnn is the author of Liberty and Learning: The Evolution of American Education; The Founder’s Key: The Divine and Natural Connection between the Declaration and the Constitution and What We Risk by Losing It; and most recently, Churchill’s Trial: Winston Churchill and the Salvation of Free Government. Dr. Arnn serves on the boards of directors of many influential conservative organizations. He holds a doctorate in government from The Claremont Graduate School.